Taste the best that the season has to offer in Hampshire House’s spring and summer menu. Our latest culinary offerings are spring-inspired bites that are certain to reawaken your palate. Savor incredible flavors and try out various dishes to gain a better understanding of the season’s dining experience at our venue. Our expertly trained kitchen staff and renowned chefs are excited to show off their latest creations and provide flavorful and decadent dishes for any meeting or celebration. You can learn more about our spring menu in this culinary tell-all. If you want to greet your guests with something delicious, our 2018 spring (and summer) menu has a multitude of enticing options. You’ll find a selection of hot hors d’oeuvres like a flavorful fava bean soup with crisp asparagus, English peas, and mint-cream fraiche or rich prosciutto-wrapped scallop brochettes with lemon confit. Mix and match those warm, welcoming bites with light and fresh cold hors d’oeuvres like duck spring rolls with sour orange dipping sauce and bright watermelon and feta skewers in a white balsamic reduction. For something a little more filling, try our butler-passed mini appetizers like beef tenderloin with chimichurri or sweet pea ravioli. Our spring and summer menu has options like our tapas bar with crab-meat stuffed calamari, cod fritters with avocado aioli, Spanish potato and egg tortillas, and more. For a coastal themed event, you can’t beat our New England clam bake station that includes lobster, mussels, and clam chowder. We also offer an authentic taqueria specialty station and a unique make-your-own dessert station. For an unforgettable four-course meal, choose our dinner entrees from Hampshire House. Start with tasty options like our potato leek crostata or spring vegetable risotto, then move to the salad course with an intensely flavorful pickled vegetable salad with champagne vinaigrette or a bright and beautiful wild berry salad topped with toasted almonds and white balsamic vinaigrette. Your event will be the talk of the town with top-quality entrees like roasted halibut in a saffron citrus sauce or rack of lamb with a dried fruit crumble, honey-glazed carrots, olive oil mashed potatoes, and herb de Provence jus. Finish off with one of our delightful desserts; our peach melba with vanilla ice cream and slivered almonds is a springtime favorite. Whether you’re hosting a major event like a wedding, fundraiser, or gala or you simply want to entertain a few clients in an impressive setting, Hampshire House is the perfect place for your next gathering. Our spring and summer 2018 offerings include a range of delicious, flavorful dishes so you can customize your event menu from start to finish. 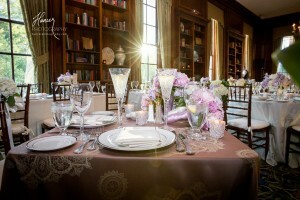 And by hosting your event at Hampshire House, you’ll have a luxurious and sophisticated setting that will leave a lasting impression on your guests. Contact us today to make a reservation for our Hampshire House spring menu event. Moms put in so much work to take good care of us. On Mother’s Day, you can return the favor by treating her to a lavish meal at Hampshire House. 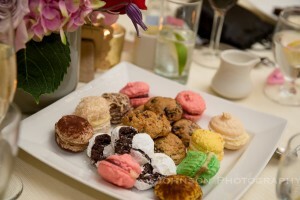 Come to the historic Beacon Hill neighborhood to enjoy a delightful Mother’s Day brunch in a grand venue where generations of Bostonians have dined together and celebrated. Our impressive Mother’s Day brunch menu includes something for everyone, making this the perfect family outing for such an important event. This three-course plated brunch features your choice of starter and main dish along with a decadent dessert. Start off by selecting from delicious options like a spring salad with baby arugula, sugar snap peas, dried apricots, and almonds in a lemon vinaigrette or a Gulf shrimp martini with crisp vegetable spaghetti and tomato olive relish. These light-yet-flavorful appetizers offer a tantalizing way to begin your brunch. For your entrée, you’ll have sweet and savory options such as stuffed Fresh toast, a Florentine benedict, and char-grilled chicken pasta, each of which is carefully prepared by our expert chefs. Some of our most popular menu items include our wood-grilled lamb chops with black olive tapenade, spring vegetables, and our New England lobster omelet featuring three eggs stuffed with Maine lobster meat and fresh herbs (served with brunch potatoes and grilled asparagus). The finishing touch is our Hampshire House Chocolate Trilogy, which features Swiss chocolate maple soup, a chocolate mousse tartlet, and bittersweet chocolate crème brulee. This incredible dessert is sure to satisfy any mother’s sweet tooth on her special day. At Hampshire House, we want to make sure that your Mother’s Day brunch is a memorable experience. The grand, luxurious setting complete with historic architecture and lavish décor is sure to make your mom feel special on this important holiday. 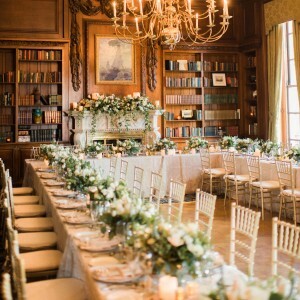 Hampshire House is known for its elegant and sophisticated touches, including carved oak paneling, sparkling crystal chandeliers, tall Palladian windows, and majestic Italian marble. It’s a place of such grandeur that it was once visited by gentlemen in top hats and tails and ladies in silk and satin. Today, this turn-of-the-century mansion retains that high-society feel that elevates any event to something truly elegant and refined. Our Mother’s Day brunch allows your family to don their Sunday best and make this meal feel a bit more special than your typical dining experience. Our top-notch staff deliver excellent service and each plate delivered to your table will be perfectly plated by our expertly trained kitchen team. If you really want to treat your Mom to an unforgettable celebration, our Hampshire House brunch is just what you need. Trust us when we say that she’ll be bragging about this lovely experience for weeks afterward. Seating is limited for this dining event, so make a plan for mom today so you’ll be in time for Mother’s Day. To lock in your spot for this exciting celebration, make a reservation at Hampshire House for May 13 from 11 a.m. – 3 p.m. We look forward to celebrating with you and making your mother feel pampered and appreciated.